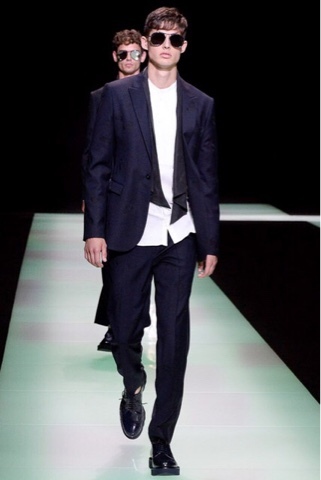 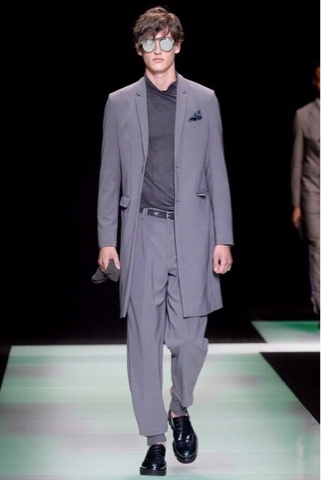 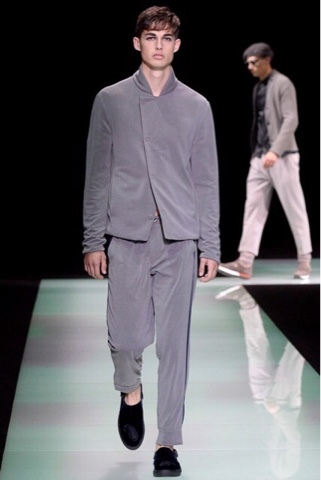 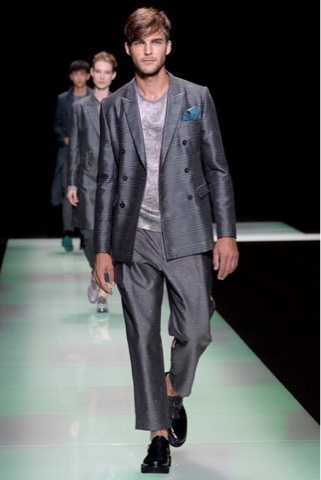 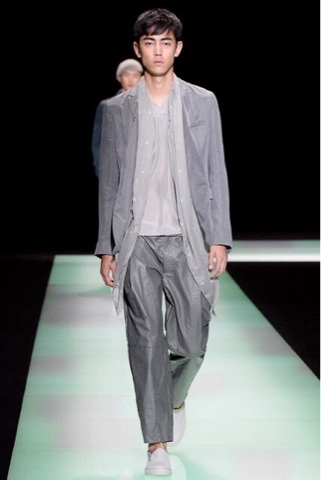 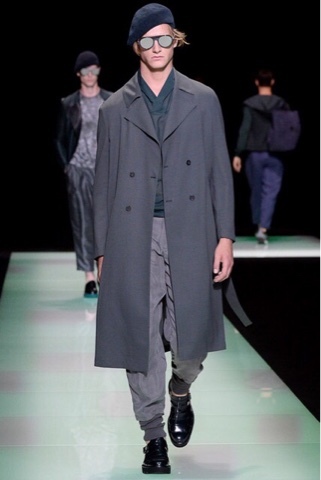 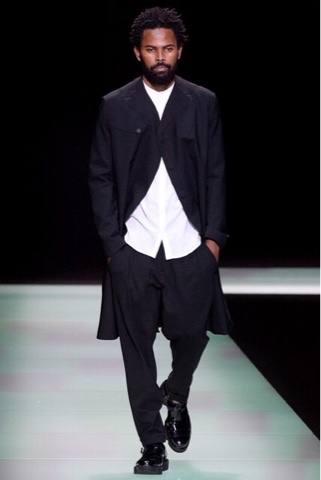 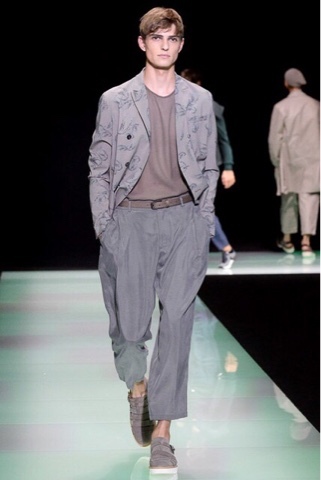 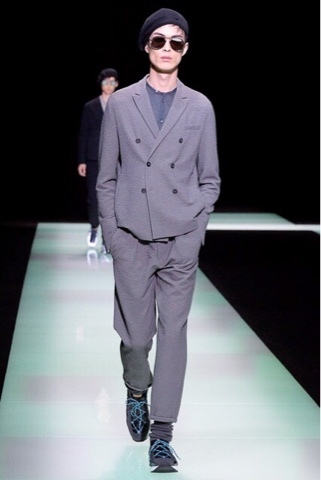 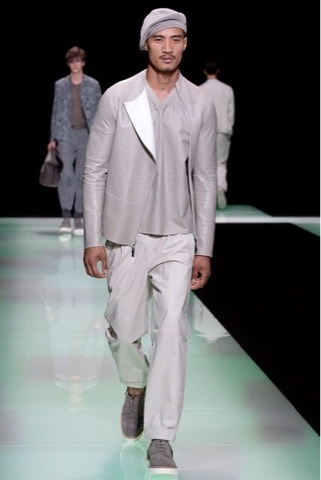 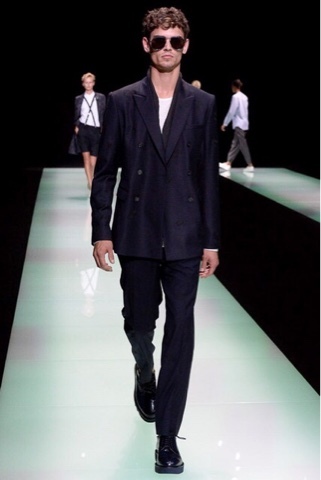 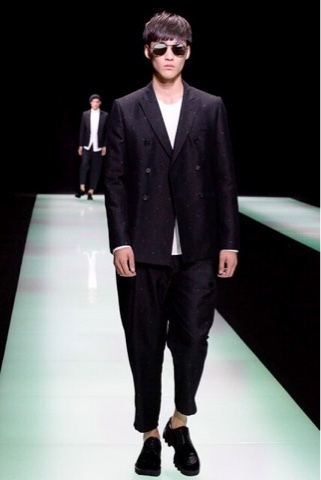 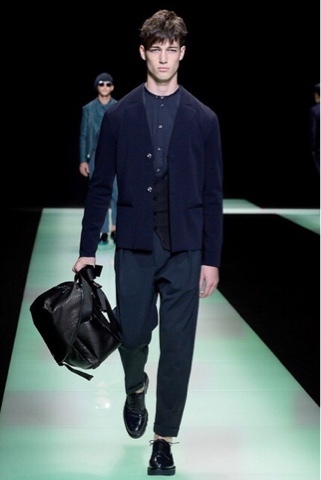 Armani kept the colors very tonal as usual, staying with navy, black and every shade of grey. 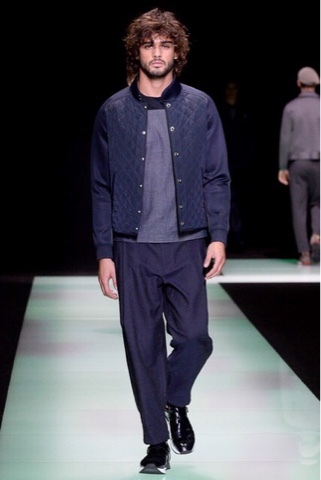 This show was all about the jackets and the easiness of baggier trousers and wearing pants with scrunched socks made to look like joggers. 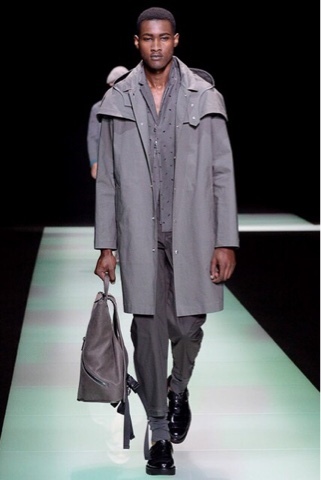 Being someone who loves jackets I appreciated mostly all of them such as the grey open leather jacket and the longer summer coats. 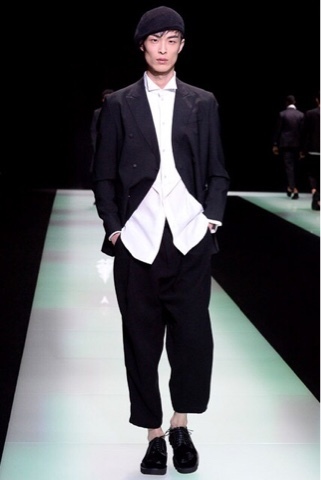 I also enjoyed the black and white dressy looks at the end along with the mirrored shades the models were wearing.